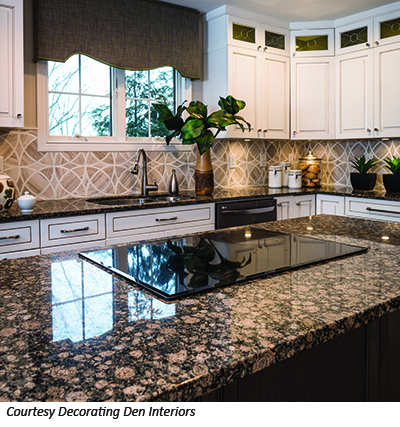 While granite and marble remain popular among homeowners, it’s hard to deny that quartz materials have been making inroads in the countertop market. Cambria quartz has the look and feel of granite, according to Aliki Vrohidis, but features superior performance due to its strength and durability. 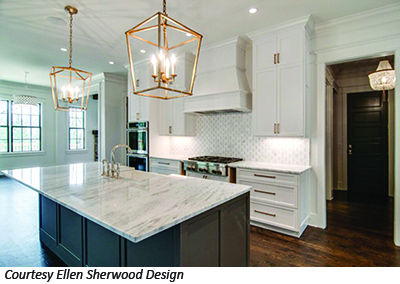 “As a stain resistant, non-porous, natural quartz surface Cambria is harder, safer, and easier to care for than other stone surfaces,” she says. 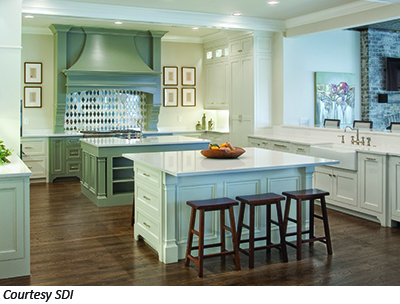 Mary Soeder of PDI reports her company receives numerous requests for information about countertop considerations. 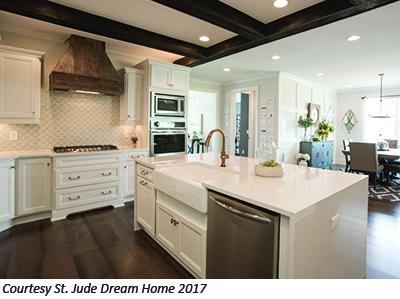 “We are seeing more and more homeowners selecting quartz because the pricing has stabilized,” she says. “The designs and recreations of marbles are stunning and look like real marble. In addition, quartz surfaces are readily available. The durability of quartz, when compared to marble, is hard to discount. CategoriesKitchens & Baths TagsBohnne Jones, cambria countertops, countertops, decorating den interiors, elite installation, ellen sherwood, Emser Tile, Ferguson, Floorz, florim, french's cabinet gallery, granite, hermitage lighting gallery, lawrence johns, Louisville Tile, marble, mary soeder, nashville builder, nashville home, Nashville House., natural, Natural Stone Distributors, natural stone quartz, pdi, prestige granite & marble, procraft cabinetry, quartz, quartz countertops, sdi interiors, shaun doughtery, Smokey Mountain Tops, sone design, st jude dream home, stone, The Tile Shop, tradition in tile, triton stone group, USA Stone.